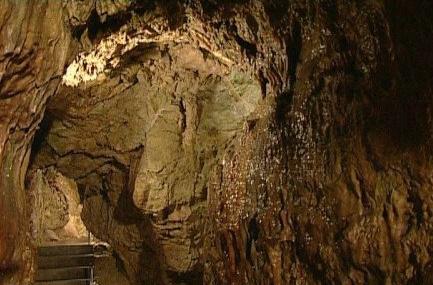 Palvolgyi Caves is one of the most visited attractions of Buda Hills. People prefer to visit this place during the summer season as it is at a constant 11 degrees celsius. It is very rich in dripstone and also is one of the most amazingly naturally preserved areas. It is easily one of the longest attractions in Buda Hills and is the oldest caves in the city. Even in the country, it is the third oldest and is a perfect place to visit for people who like to have slightly protected and safe adventurous experiences. The temperature inside the cave is cooler as compare to the outside. Hence wear warm and comfortable clothes. The cave tour is not suitable for physically challenged people and for children under 5 years. Guided tour starts at 15minutes past every hour. How popular is Buda Caves? People normally club together Bpartner Ingatlan and Vígado Concert Hall while planning their visit to Buda Caves. Who would have thought about that a modern European capital such as Budapest has an extraordinary cave system under the surface? Come and see with your own eyes and take amazing photos! Budapest has so many different faces, I was glad to see this one! I don't recommend to bring your small children with you and consider that there are some pretty steep stairs what you have to climb. If you are in average health, you'll be fine. Great tour in English. Quite cold when you get down low so bring a jacket. Also a big ladder to climb. Really fascinating place though and definitely worth a visit if you're on holiday in Budapest. Cave-tastic. Great cave. Tour is informative. You follow a concrete path with lots of stairs, but you can really get a sense of how big it is and what it was like before stairs were put in. We had a great time in the caves. Our guide was really knowledgeable and spoke amazing English. The tour was quite extensive and we saw all different types of rock formations and quite a few bats too! Definitely recommend. We went in winter and there was only us and another couple on the tour so very private.